In 1975, “media” essentially meant television, radio, and newspapers. Obviously, today’s market looks way different thanks to the Internet and other developments. We have cable and satellite TV, online news, podcasts, and social media. We have “cord cutters” and “cord nevers,” and there are more ways to consume more content than ever before. In this competitive environment, however, many of the media regulations passed by the FCC in the 1970s still apply to TV, radio, and newspapers. Are these rules necessary to prevent consolidation, ensure competition, and promote a diversity of viewpoints? Or are they making it harder for traditional media to compete in the Digital Age? Evan is joined by Jerianne Timmerman, Senior VP and Senior Deputy General Counsel at the National Association of Broadcasters. For more, see her blog post. The Internet has disrupted the way we communicate, entertain ourselves, and more. But what about how we take care of ourselves? While the Fitbit and Apple Watch are nice ways to track exercise, how often do we still have to fill out paper forms when we visit a doctor? 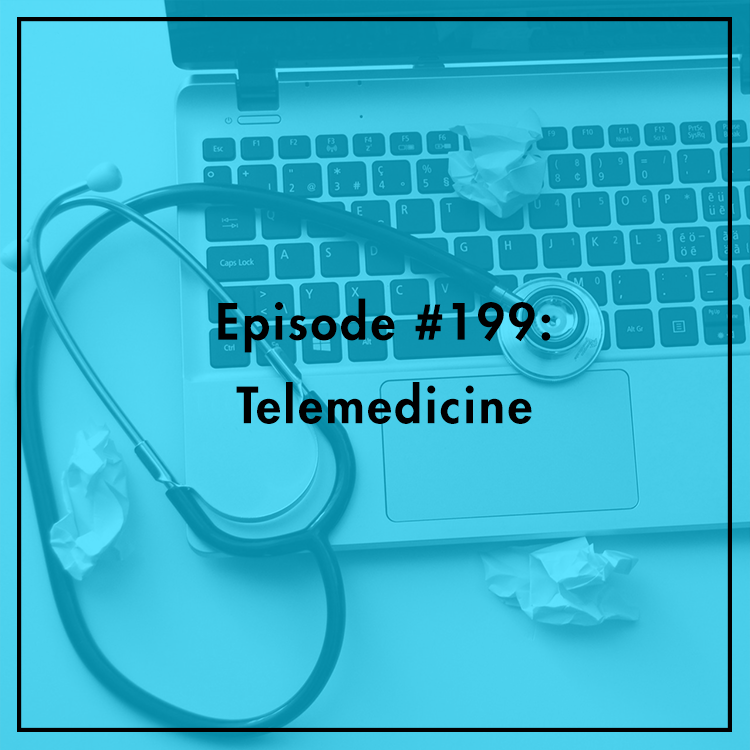 Is there more to telemedicine than “counting steps?” Evan is joined by Nadia Morris, Director at the AT&T Connected Health Foundry in Houston, TX, an innovation center focusing on digital health technologies by working with startups, and established companies. They discuss what technology means for blindness, diabetes, opioid addiction, and other public health issues. Are bigger data sets the key to better health? How can universities use the “cloud” to do better research? Russia's meddling in the 2016 election isn't exactly breaking news. But recently, social media platforms like Facebook and Twitter are facing an intense backlash from prominent Senators after revelations that Russian actors bought hundreds of thousands of dollars worth of ads meant to stoke division among Americans on hot button issues like gun control, race relations, and even the recent NFL protests. 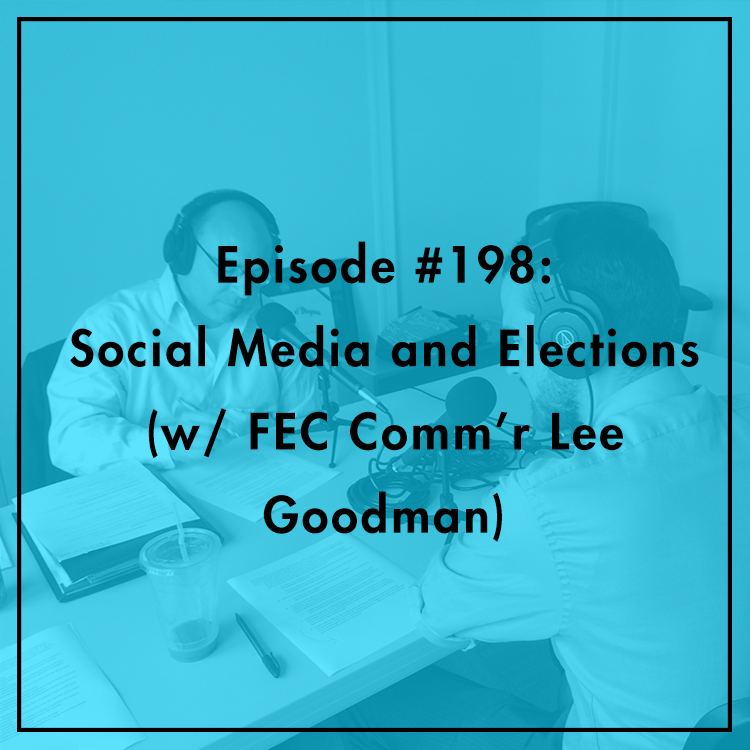 Should the Federal Election Commission regulate social media ads the same way it does television, radio, and direct mail? What would that mean for the free speech rights of Americans and U.S residents? Many are calling for social media platforms to be treated like public utilities. How might that impact the Internet? Evan discusses with FEC Commissioner Lee Goodman. For a different take, see his former colleague Ann Ravel’s op-ed here. For more on digital free speech, listen to our previous episodes with Goodman: #107 and #116.